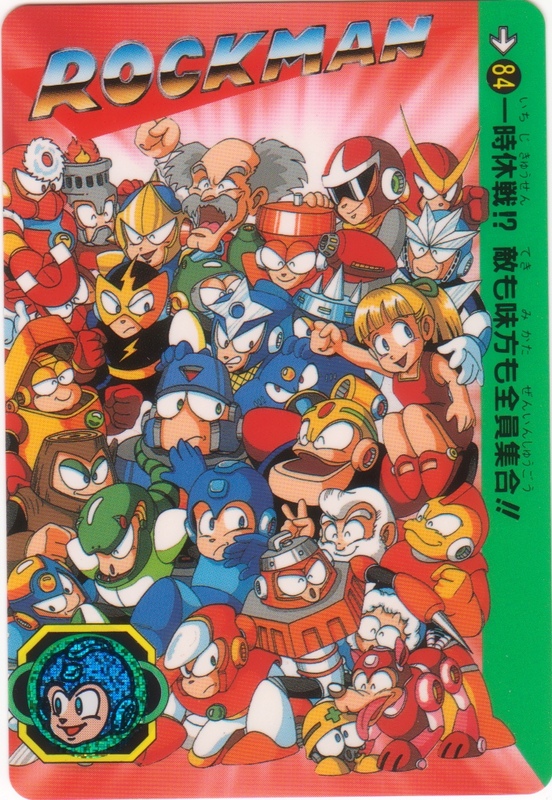 The 23rd Anniversary of the release of Rockman 1 is here at last. Sadly this is Rockman’s first birthday party without “Father of Rockman” Keiji Inafune in attendance, but with upcoming titles like Rockman DASH 3, Mega Man Universe and Rockman Online, the occasion and the future of the franchise is still looking bright. 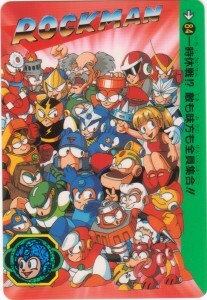 All Rockman’s friends and enemies have assembled to hang out and party! 84. A temporary truce!? A gathering of all friends and enemies!! I wonder what they’ll do to mark this joyous event! 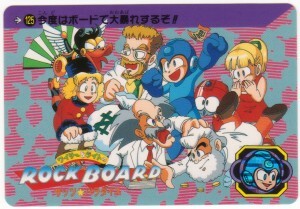 Maybe play a little Rockboard? Actually, they probably shouldn’t. We all remember what happened last time. 125. This time the intense battle wages over the board!! Tensions run a little too high in that game. How about a nice soccer tournament instead? What do you say guys, same time next year? 1 Comment to "Carddas Countdown Celebration Complete!!"